Preheat the oven to 180 C. Line two 8 inch cake pan with parchment paper and keep it aside. Fresh strawberries, washed and ready to make a beautiful pink cake. 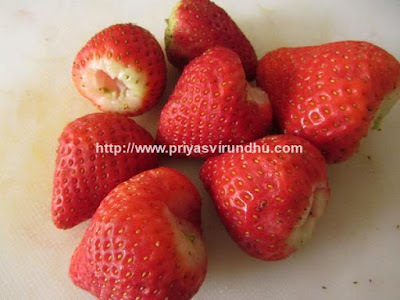 Wash and cut the strawberries. Add it to the blender and make it into a puree. 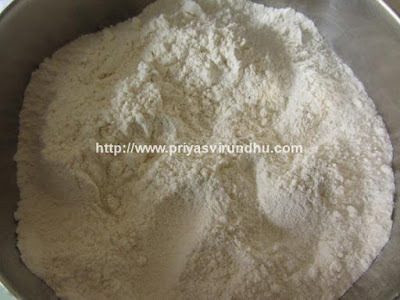 In a big bowl sift all-purpose flour, baking powder, baking soda, salt and keep it aside. 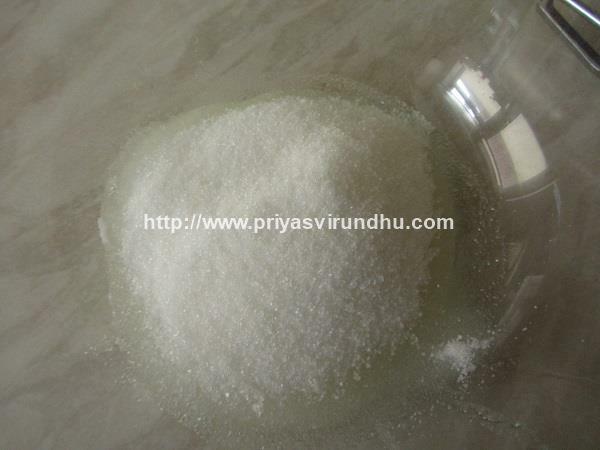 In another bowl mix oil and sugar really well until well combined. 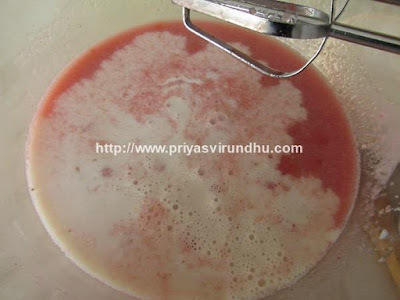 Now add the strawberry puree to the sugar mixture. Add the milk to the bowl and mix really well. 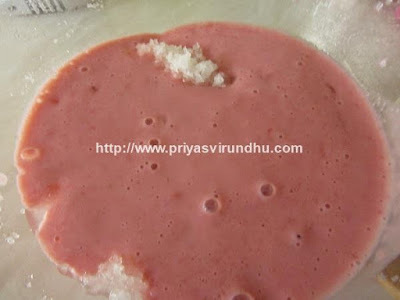 Add the all-purpose flour to the strawberry mixture and mix well with hand mixer or whisk to form a thick and flowing batter. I added little strawberry syrup to the batter and mixed it for added colour and taste. This is totally optional, and you can skip this step. Pour the cake mixture to the baking pans and tap it on the counter top two or three times to get rid of air bubbles. Bake it in the oven for 35-40 minutes or until the tooth pick inserted come out clear. Let the pan cool for 10 minutes. Run a knife along the edges of the pan and invert the cake onto a wire rack and let it cool completely. Then place the cake bottom side up and remove the parchment paper. 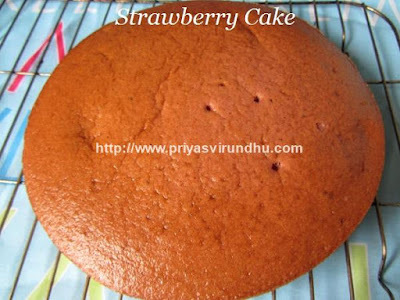 Delicious, tempting and addictive Strawberry cake is ready to be enjoyed. 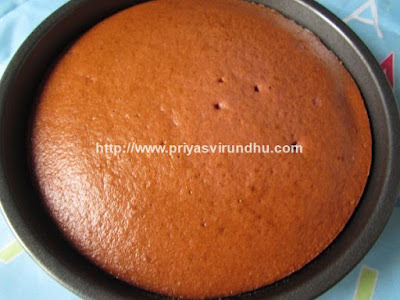 Enjoy the cake by applying some fresh cream frosting or just like that. 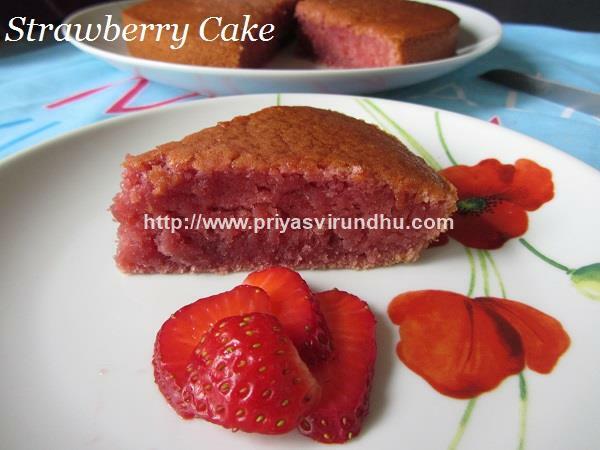 Arrange the slice strawberries along with cake and serve it. Thank you all for visiting my space, please come back again for more delectable and lovely cake varieties from my kitchen. Other cake varieties that might be of your interest…. If you find the post really interesting, it will be really nice of you if you can share it with your facebook fans or twitter friends or pin it or google + circles today. I will be very happy if you can join as google follower, all it takes is just one click. All this means a lot to me and a great encouragement as well. Where can we get these parchment paper? It actually depends on the place you live in, if you live in Chennai you can buy it shops where they sell papercups, bags etc, if you live in US you can buy in walmart and other shops, if you live in UK you can get it in tesco, sainsburys, aldi etc.